On a perfect September day filled with blue skies, a warm breeze and tons of sun... Cierra & Brandon said their I do's in a rustic styled garden wedding at the Florian!! They literally planned the perfect fall wedding, with Cierra's ladies in a warm shade of dark wine, the groomsmen in a light posh grey suite, with pops of the same color on their ties and pocket squares tying everything together. 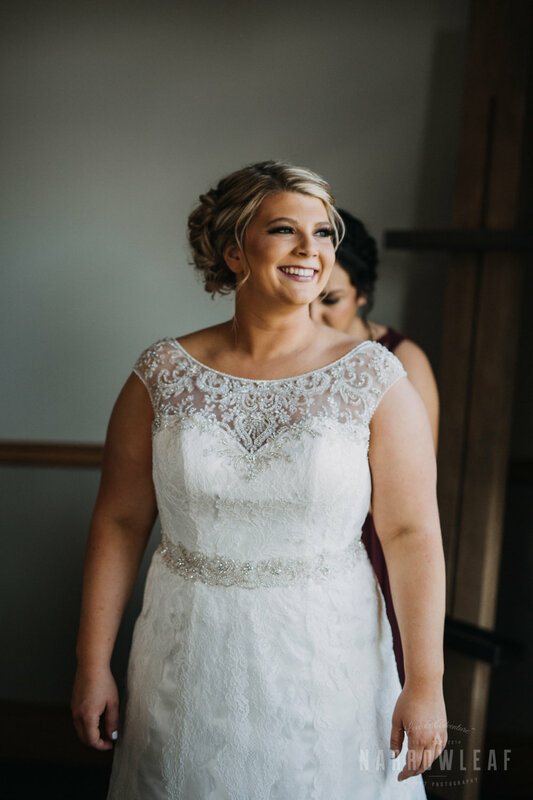 Cierra wore the most beautiful Lasker Jewelers pearls which matched perfectly with her lacey A-line wedding gown, for a classy and elegant bride look! Just look at this simple- woodsy outdoor ceremony setup...! 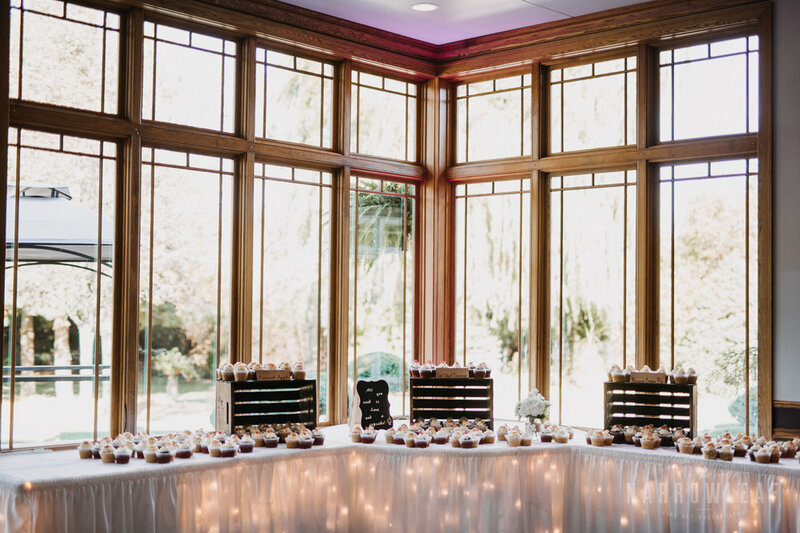 Cannot get enough of their burlap, florals and wood centerpieces! !